Your opinions matter! 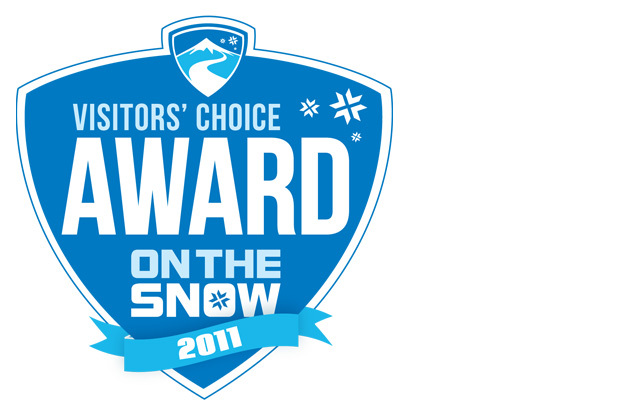 Make sure to review your favorite resorts prior to March 14 to ensure that your submissions are included in the 2012 Visitors' Choice Awards. The OnTheSnow community posts thousands of resort reviews every year for the more than 450 ski areas in North America. Your reviews are pivotal in determining the winners of the annual Visitors' Choice Awards. We will begin tallying resort reviews on March 14, so any review submitted after that date will not be included in the 2012 Visitors' Choice Award. [R493R, Whistler Blackcomb] was selected as the "Best Overall Resort" in 2011 by OnTheSnow visitors. Posting a resort review is easy. Simply go to a resort's page on OnTheSnow.com and click "Reviews" in the upper right corner. Scroll down to the bottom of the resort's reviews page and enter your rankings, pros, cons, reviews and even photos from your trip. The annual Visitors' Choice Awards are the result of your user reviews. So make your voice heard and submit your resort reviews by the March 14 deadline. [R191R, Jackson Hole] took home the Visitors' Choice Award for "Best Terrain" last season.